In September 2015 World Leaders committed to the Global Goals for Sustainable Development. 17 goals to achieve 3 extraordinary things in the next 15 years. End extreme poverty. Fight inequality and injustice. Fix climate change. To realise these Goals everyone, however young they are, needs to take part. So join our movement, teach young people about the Goals and encourage them to become the generation that changed the world. 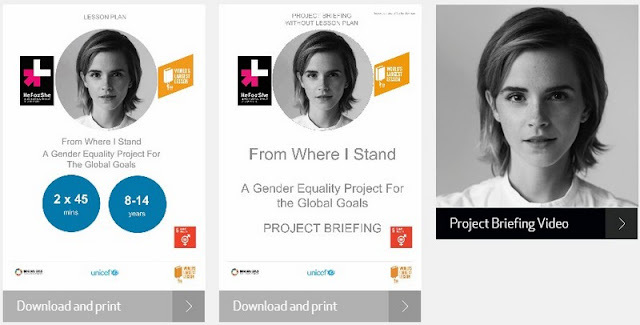 This year we invite you to focus on Goal 5: Gender Equality with a lesson and a cross curricular project that enables students to contribute to the Global Goals right now.